- Added new features of set all Properties of button by event name. - Added new features of get all Properties of button by event name. 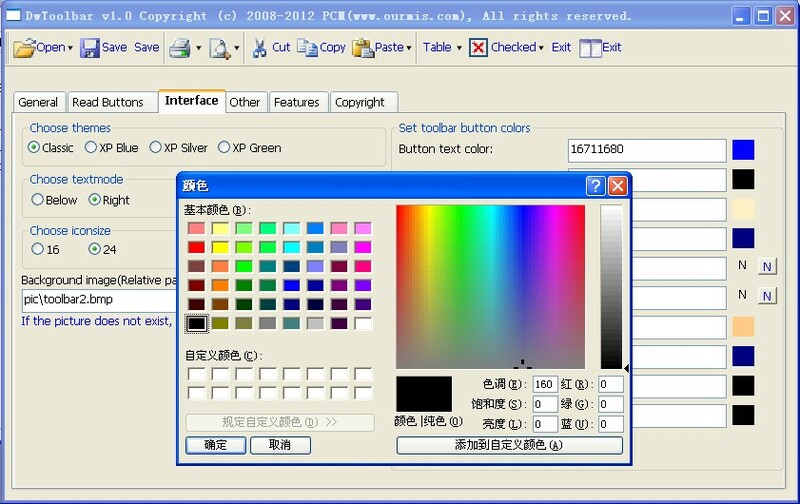 - Fixed toolbar button states when read menu. - Shielding the mouse wheel. - Fixed the text width when icon 32-bit/48-bit/64-bit icon. - Remove all of the goto statement. - Fixed the error of of_getbackground(). - Fixed the line disappeared when set text mode when there morebutton. - Fixed the line disappeared when set icon size when there morebutton. 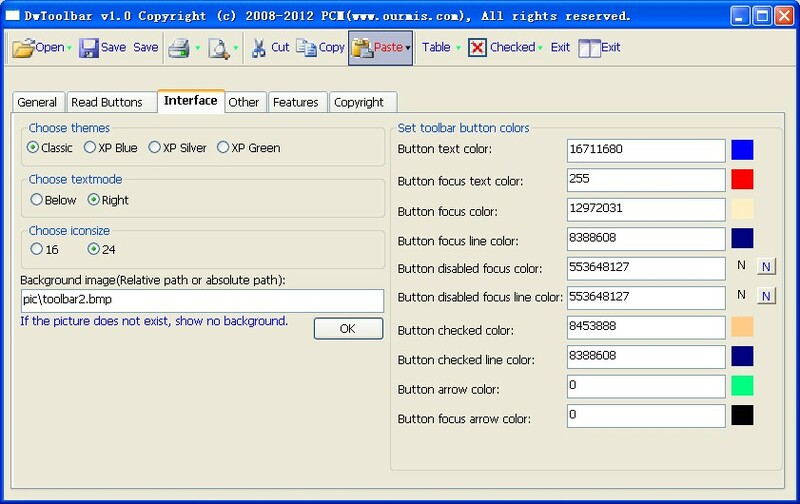 - Fixed Optimize performance problems when check morebutton display. - Fixed the y and height of the line. - Fixed the bug of delete line in of_checkline(). - Fixed the bug of add one empty button in of_settextmode() and of_seticonsize(). - Fixed the bug of x position in of_setvisible(). - Fixed the bug of x position of line when move behind buttons. - Added a event dddwclicked. - Fixed the bug of column type when changed the textmode and iconsize. - Fixed the bug of mousemove on arrow. - Fixed display error of pbbmp. - Fixed one error in of_getenabled. 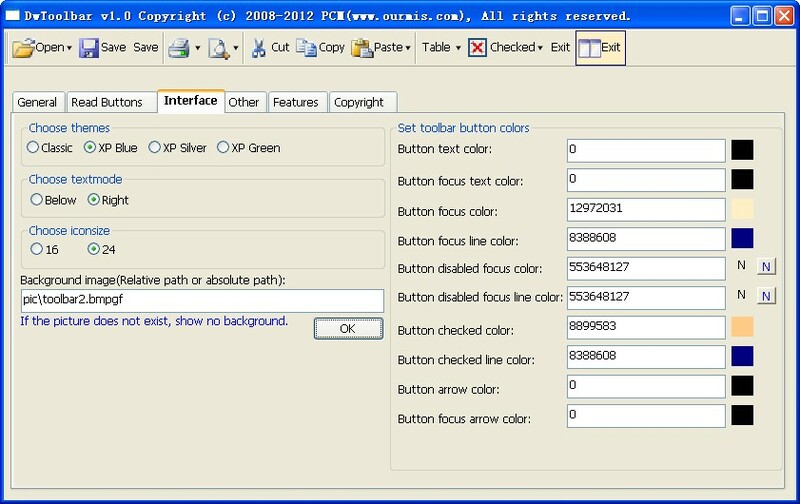 - Fixed show line in the menu of morebutton. - Supports PB images in of_readmenu(). - Fixed the line x in of_addline(). - Added set/get button font bold. - Added set/get button font italic. - Added set/get button font underline. - Fixed disabledpic display in of_setenabled(). - Fixed disabledpic display in of_setdisablepic(). - Fixed normalpic display in of_setpic(). - Fixed some functions in demo. - Fixed the position of the arrow when modify text in of_settext().